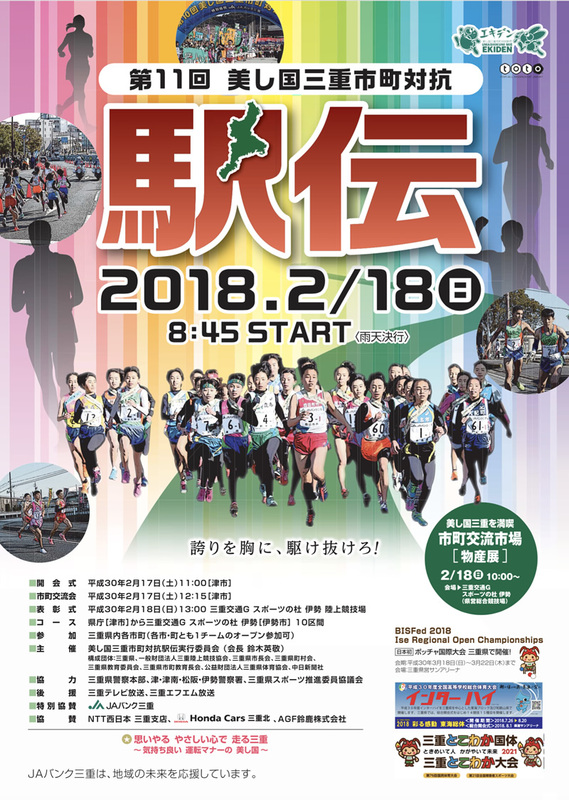 With the aim to inspire the sportsmanship of all citizens by seeing, practicing and helping sports, teaching the young generations, developing and enhancing even more the cooperation and collaboration between the municipailities in Mie Prefecture, the 11th “Umashi Kuni Mie” Inter-City Relay Marathon (Dai 11kai Umashikuni Mie Shicho Taiko Ekiden) will be held. On the day of the marathon, roads in wide areas may not be accessible. The organizing team asks for your understanding. 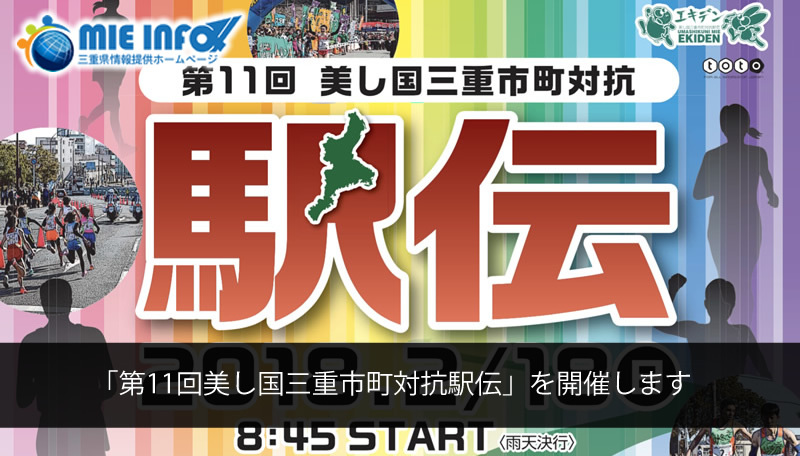 10am to 11:15am – the segment covering Gekku, at Ise Jingu, and the Ujirata-cho intersection (Mikimoto avenue) will not be accessible. Timetable may change upon the course of the marathon. The police and members of the organizing team will give directions on streets of restricted access and routes available. Please, do not park your car on the area covering the marathon. A municipal exchange fair will also be held (products exhibition) at the Sports Stadium, finish line. Mie local food will be available for sale at the place! Enjoy the local food along with your family!